Stains & dirt and grime are a thing of the past with our hi-tech truck mounted cleaning system. 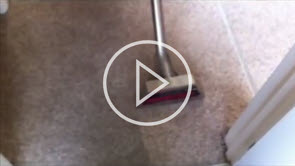 We have a wealth of experience in tackling stubborn stains on carpets, upholstery & tiles. The deepest, fast drying carpet and upholstery clean that's pet and baby safe. Sanitised and smelling fresh and looking new. Quality Carpet Cleaning in Gloucestershire offer amazing results for affordable prices, covering the whole of Gloucestershire. Boasting well over 20 years worth of experience in the carpet and upholstery cleaning industry, Quality Carpet Cleaning in Gloucestershire are the only company you need to trust if you need your carpets, rugs or upholstery cleaned, using only modern, reliable and effective methods and a state of the art truck mount carpet cleaner. No matter how dirty your carpets get, we are here to help! With many years experience in the carpet cleaning industry, we offer the best results in the business, making sure that we leave your carpet looking simply amazing. If your chairs are looking grim, give us a ring! Our specialist cleaning equipment will work wonders on your chairs and other types of soft furnishings, with results that you really just have to see to believe. We are experienced, professional, caring and reliable and we also only use the best when it comes to machines and cleaning materials. We have invested heavily in our equipment and materials and our experience really does speak for itself, which means that when you have your carpets or upholstery cleaned by us, you can rest assured that you are getting the best service for the best price. When it comes to your carpets and upholstery, let us do the hard work so that you can enjoy the results.